Woochi Moving to New Location! South Bend, IN- Woochi Japanese Fusion & Bar is moving to its new home in downtown South Bend. Woochi is partnering with Ancon Construction, premier design build construction firm, to design the interior for their new location. 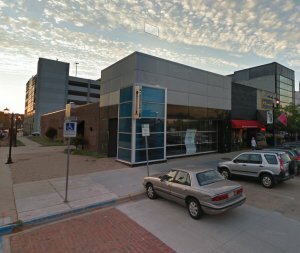 They will be taking over the former Noma space located along North Michigan Street near Vegetable Buddies, Tapestrie and the Morris Performing Arts Center. Highlights of the new location include a complete renovation of the first floor kitchen, a modern family dining area and a new bar. The lower level will have a private event/club atmosphere with the design and construction of a new club bar, club style seating, private event areas and an elevated DJ booth for special event nights. Future phase for lower level includes plans for a second larger private dining and event space for private parties/dinners. Final designs are approved and demo is starting soon. Stay tuned for future project updates. Ready to discuss your project? Contact us HERE and let’s get your project started…..together.